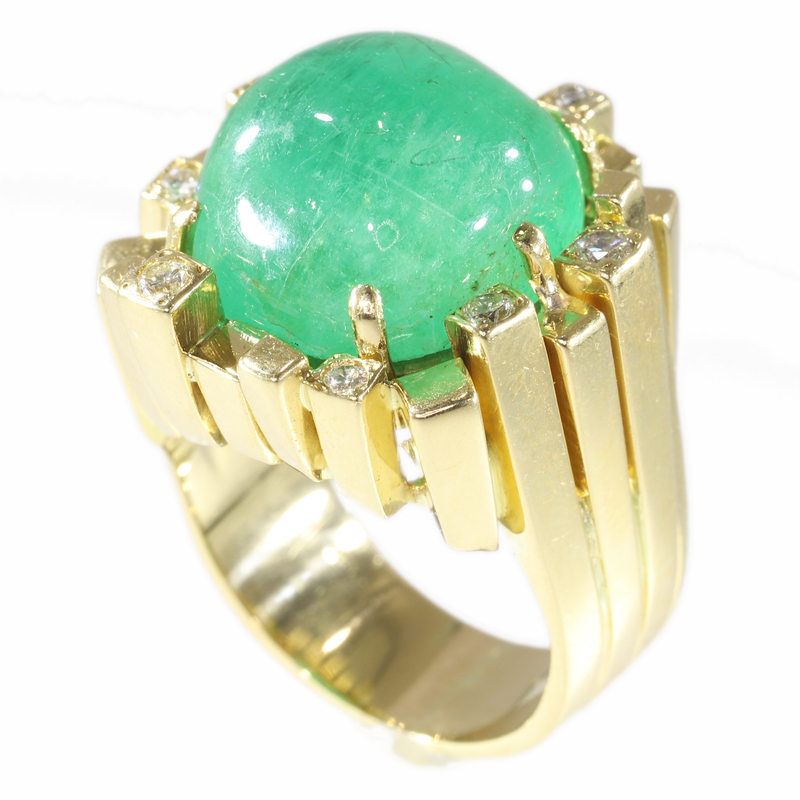 Vintage Seventies Modernistic Artist Design ring with large emerald and diamonds: Description by Adin Antique Jewelry. Diamond(s): Eight brilliant cut diamonds with an estimated weight of ± 0.40ct. (colour and clarity: H/J, vs/si). Treatment: Oiled. The oils of emerald is a fully accepted technique is reversible and is not as negative but even found it necessary in our profession. Hallmarks: London gold hallmark for 18K gold and for 1975 (gothic letter A) - remains of a mark AMO or AMC, for which we do not know what it stands for.